Would you listen to Murder on Astor Place again? Why? No. The reader made a period piece seem like a modern book. 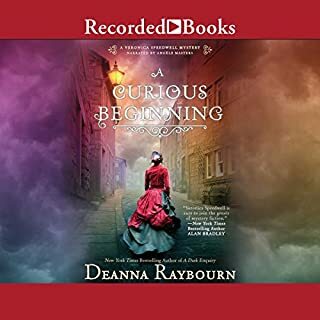 There is no distinction in her voices - no giving the things that MAKE it a period piece - the hero sounds like the heroine, who sounds like the bad guys. The only time there's a obvious distinction, there's a note in the file saying the person talked in an obvious way. Even the CHILDREN sounded like the adults. I actually had to separate the reader from the written word, but I realized the writing was very good. Totally sapped the book of it's strength. I think I would like the book. It's embroidery season now and I don't have time until after the holidays to read. I'll probably try the 2nd book in the series then. AWFUL READER! I want to like this series! I like the early 20th century New York City setting and the titles of the books alone are intriguing to me; I really want to give the Gaslight Mystery Series a fair shot. It was a bad start - the basic premise was quite improbable and there were frustrating holes in the set-up that were hard to overcome. A cop “hijacks” a midwife into helping him investigate a murder scene? Why? The pretext of “you’re a woman, you might know something” was ludicrous. Throughout the story they maintain a somewhat acrimonious relationship… which I don’t really understand because he asked for her help up front! Eventually we learn why they are a little frosty with one another and it all has to do with their own personal baggage which just felt planted for the purpose of having something to unravel later on. I finally had to tell myself to just suspend disbelief and go with it! Overall it wasn’t too bad. I’ll give Book 2 a try before I decide if I’ll drop the series or keep pushing; the series is already up to 19 instalments so I’ll have plenty to read in the future if I like them! 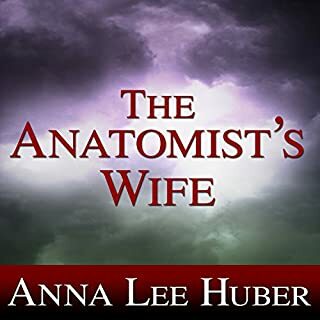 1890s New York City, widowed midwife becomes amateur sleuth. I had heard raves about this series from many friends. So glad I finally got to it , and wishing I had done so sooner! Great writing AND narration! Starting the next one today! 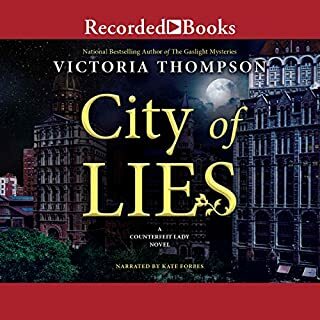 I've just recently gotten in to this series by Veronica Thompson, and so far it seems enjoyable. However, the narrator is HORRIBLE!!! She makes the book barely tolerable. I don't think I've ever heard such a terrible narrator and I've been listening to audio books for almost 20 years. She almost ruins the whole thing for me. I hope I can stand to muddle through the remainder of the book while listening to her nightmarish narration. The narrator might just ruin the series for me, although I hope not. Goodness, please don't ever use Callie Beaulieu for anything else in audio books!! Good character development and growth. The plot kept me pretty much guessing until the end. 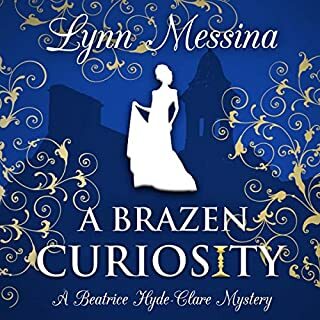 Good mystery set in late 180’s New York City. The culture, society and setting are well described and add interest to story. The characters are strong but narration weak. Narration was often monotonal, lacking expression and too fast. And I couldn’t always tell who was speaking. This intricate story is full of interesting historical details and fascinating, well drawn characters. I will look for more by this author. 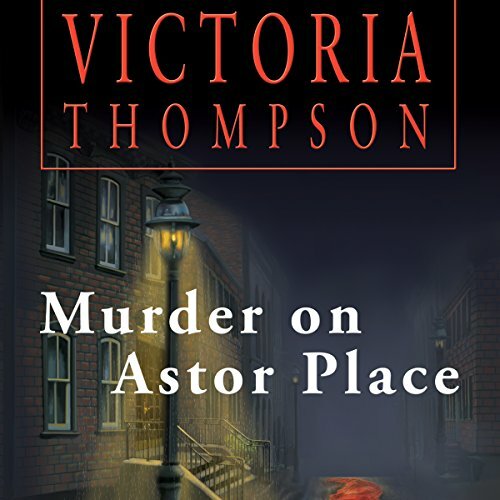 In <strong>Murder on Astor Place</strong> by Victoria Thompson, set in 1896, Sarah Brandt, daughter of one of the families in the "400," the top socialites in America, but estranged from her parents and now a widow, serves as a midwife to all and sundry, mostly the lower classes. She gets called one night to the home of Mrs. Higgins to deliver the woman's 6th baby in ten years and sees a young girl of 16 poke her head in the birthing room door. Instinctively, Sarah calls out, "Mina!" The girl looks just like a classmate whom Sarah grew up with. A day later, when Sarah goes to check up on Mrs. Higgins as a routine follow-up, Sarah learns that the girl was murdered. Asked by the police detective, Frank Malloy, to look at the girl's personal effects, Sarah is shocked to discover that the girl is Alicia vanDamn, the baby sister of Sarah's classmate she mistook the girl for. Knowing that members of "the 400" won't stoop to talking to a police officer, especially anyone lower than a captain, Sarah determines to help them out. For the first time in years, she talks to former classmates and even makes up with her estranged mother. Det. Sgt. Frank reluctantly accepts Sarah's help, and together they work the case. I really enjoyed listening to <strong>Murder on Astor Place</strong>. It contains plenty of flavor of 1896 New York, with plenty of references to Teddy Roosevelt, the new police commissioner of New York who came in to clean up the department. I also found the descriptions of Sarah's job as midwife to be very fascinating. The depictions of life as a police detective trying to navigate the complicated system were also of interest. Another historical detail I enjoyed learning about was the life of "the 400" and how the members of high society lived. The plot of this book moved creatively and quickly, with plenty of interesting twists and turns. I would start to think I was on the track of the murderer and then learn a new detail with Sarah and Frank that would send us all in a totally different direction. The conclusion was exciting, though darker than I'd expect of a cozy mystery. However, it suited the book well and ultimately satisfied. 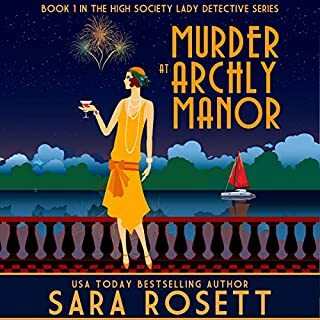 I always look out for the quality of the characters of any book I listen to, and <strong>Murder on Astor Place</strong> could benefit from better development of the characters. For the first half of the book, Sarah and Frank come across as enigmas, with little knowledge about their history. All we know is that she is a widowed midwife who comes from a rich family with whom she is estranged. He is a detective trying to save up all his money to buy a position as captain. Eventually, the two get developed further, and they turn into round characters. The members of the van Damn family gain depth as the book progresses as well. 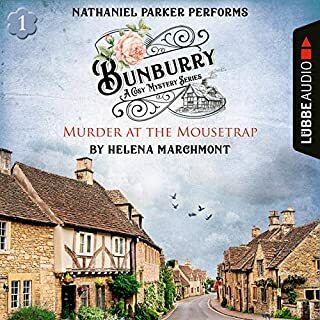 I enjoyed the performance of Callie Beaulieu as she narrated the audio edition of this book. She creates strong voices for her characters and uses effective expression in her performance. Her recording of the book made listening to it a very pleasurable experience. I really liked <strong>Murder on Astor Place</strong> and had a great experience being taken on a trip to 1896 New York. I loved the flavor and history of the book and found the mystery plot to be creative and exciting. I give the book five stars.